I’m overall a healthy person. When I go for my health checkups, my cholesterol, blood pressure etc are all great. About three years ago my doctor told me that I have a fatty liver. A foie gras… Nothing too serious, but it’s rather rare for a female my age to have it. I guess if you look at all the food I’ve consumed (combined with the alcohol), it’s not too much of a surprise. Anyway, my mum called me a while back to tell me about this enoki mushroom tea that helps reduce fat around your internal organs. This was introduced on NHK, which is a very credible channel on Japanese TV. It’s very simple. 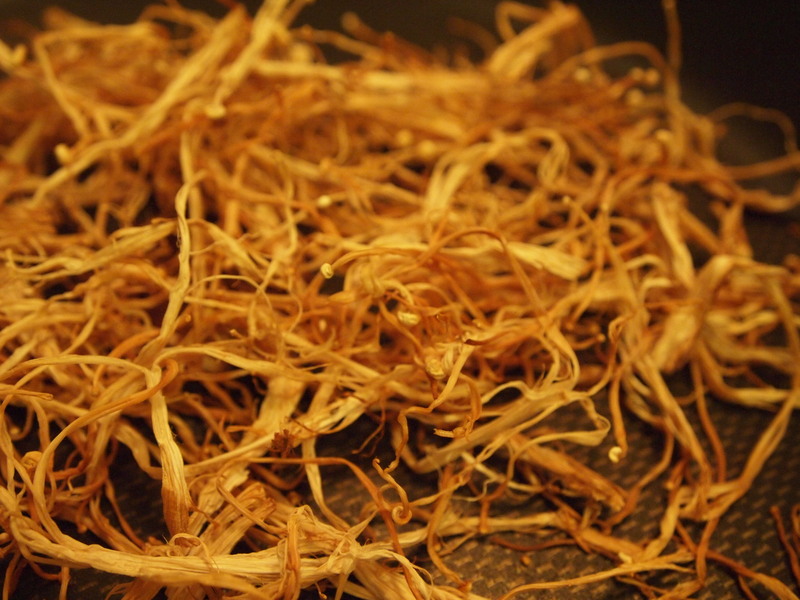 All you do is sun dry the enoki mushrooms for 2 hours in a dry area (this doubles the amount of vitamin D). Apparently sun drying it for more than 2 hours will not increase the vitamin D by much more so after this, you can lightly toast it in a frying pan (no oil) until it’s completely dry. I put my enoki in my oven (pilot light was enough to dry it out over night) as well. The enoki will turn slightly brown. Cut them into smaller pieces using a knife or kitchen scissors. 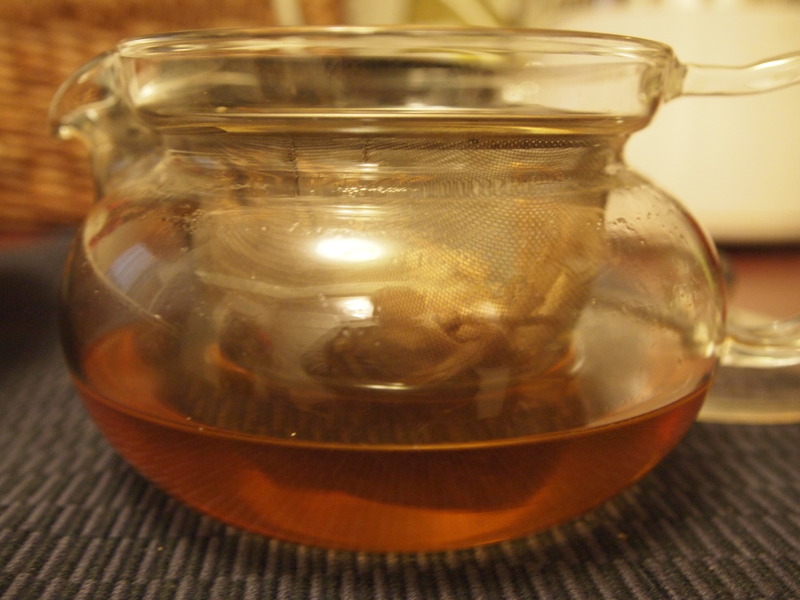 5 grams of enoki is good for 500ml of enoki tea. Steep it for 30 minutes. 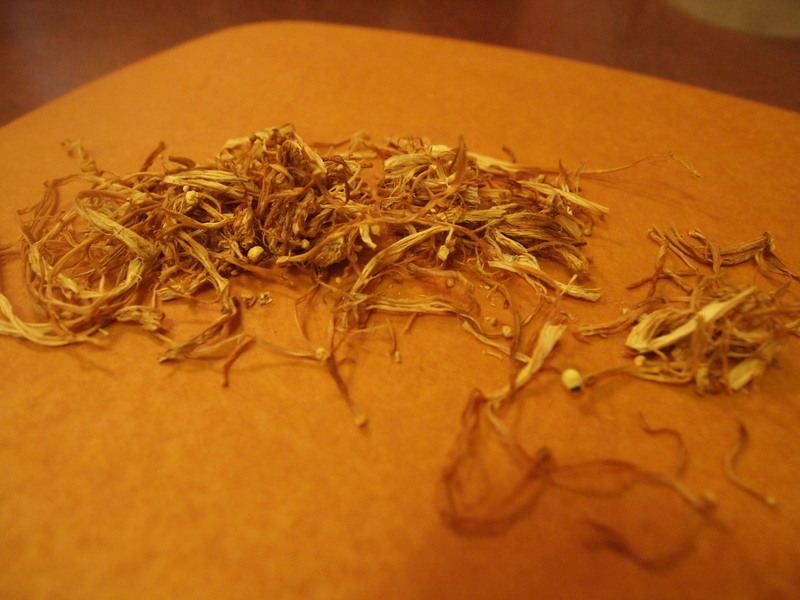 They found that drinking 500ml of enoki tea every day for 2 weeks could reduce internal organ fat by half. 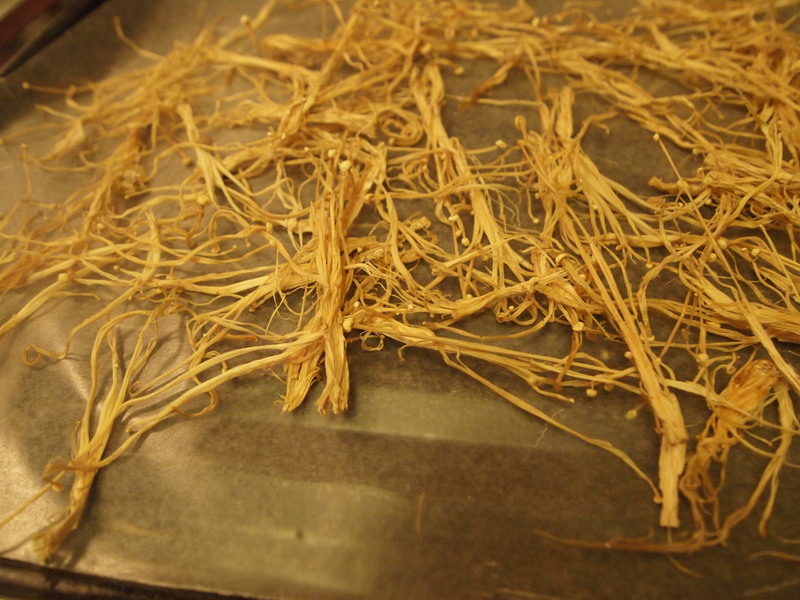 The dried enoki can also be used for cooking. Tastes amazing even on its own. You will me amazed at how much umami it has- the broth is so tasty and it would probably make a killer mushroom risotto or mushroom soup. The enoki tea tastes like beef or chicken consomme- you wouldn’t think it was vegetarian. I added some enoki tea to a ramen stock that I cooked.